Thousand Island Pleasure Diving and the friendly staff wish to welcome you aboard. We have been providing safe and fun Scuba charters to hundreds of individuals for years, some who return to live that experience again and again. We pride ourselves on service; our team of certified Transport Canada Masters have been at this for over 10 year's. All are trained to administer oxygen, CPR and First Aid. 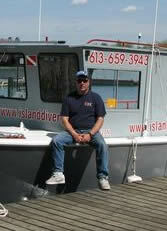 As the Creator of Thousand Island Pleasure Diving, Wayne is a certified Captain by Transport Canada. He is also a certified Dive Master with over 35 years of diving experience. 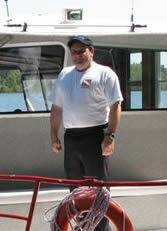 Wayne has been a river rat for years and loves to have divers visit the 1000 Islands area. Jim is a certified TC Master and started diving in the year 2000. 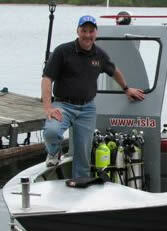 He is a Trimix certified CCR diver and has experience on all of the area sites. Lawrence was the first to join our team. 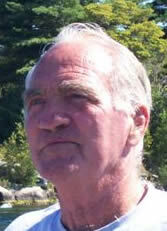 He had years of experience and stories on the St Lawrence River that we all learned from. When asked if he has been on the river his whole life, he always replied "not yet" and now we can say "yes he did!" Scott is a certified TC Master by Transport Canada. He has worked in the marine environment for over 30 years and brings great river knowledge to the team at TIPD. Scott is the son of the late Captain Lawrence Mallory.